The course assumes manual testing, but is completely applicable to testing with any automated tool. Click here to view the course notes, which incude a list of specific design techniques and some background info. Use cases are then divided into basic flow, alternate flows, and exception flows. The actions for each are called out. Every action gets at least one test case, which specifies inputs and expected results. Use cases are organized as Tours. A tour is a sequence of use cases that users are likely to do, as well as any sequence likely to stress the app. 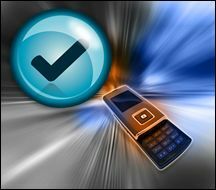 External events not recognized by the app (e.g., incoming call, power loss) are listed and tested as variants. The test suite should cover every event in each use case: every event triggered at least once, every use case disrupted at least once. It is of course useful to automate test cases and to do good design in the first place, so that an app is usable, attractive, and useful. However, automation in itself is not enough, especially if it only automates “happy paths”. And, even the “coolest” design will not matter if the app crashes, hangs the device, or generates garbage.